This is a special episode on the Zika Virus, an emerging issue in public health. Listen in as public health experts around the country discuss efforts underway related to planning and response. A note from the hosts: The Centers for Disease Control and Prevention (CDC) has published a brief analysis of select uses of local, state, and federal executive powers to combat the West Nile virus. The analysis, Executive Orders and Emergency Declarations for the West Nile Virus: Applying Lessons from Past Outbreaks to Zika, examines the use of executive powers to address the West Nile virus may inform actions taken to address the threats posed by other mosquito-borne diseases, such as the Zika virus. Jessica: Thank you for listening to Public Health Behind the Scenes. This is a special episode with public health law experts around the country working behind the scenes on the Zika virus outbreak. Naya: Even though Zika virus is not widespread in the United States, at this moment, government officials at the local, state and federal level are hard at work making sure as many plans and preparations are in place. Jessica: This episode gives you a chance to listen in on what public health officials are doing right now to prepare. 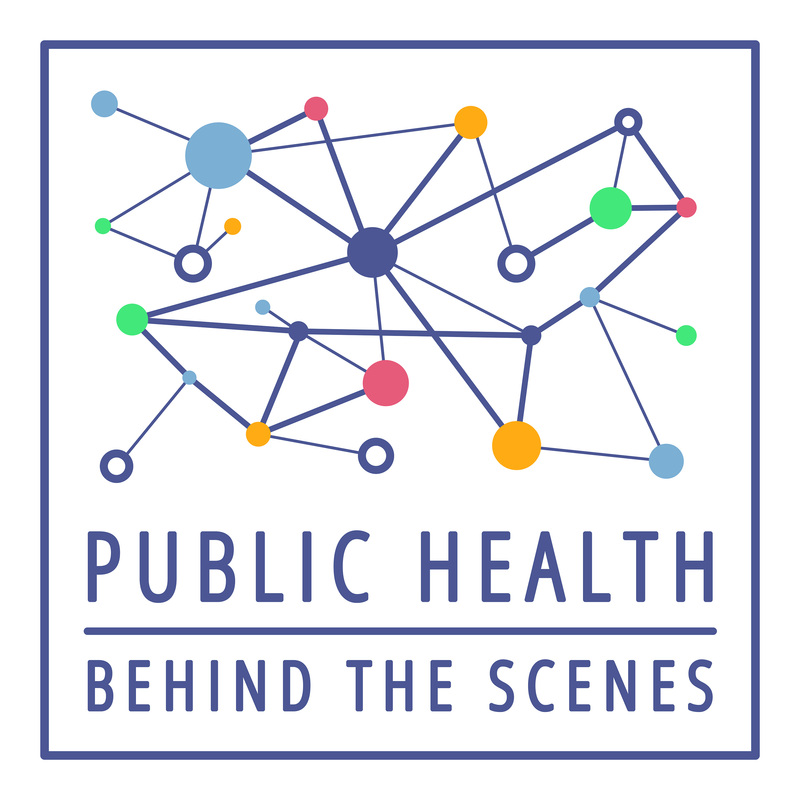 James Hodge: Thank you for listening to public health Behind the Scenes, a podcast presented by the Gillings School of Global Public Health at the University of North Carolina at Chapel Hill. My name is James Hodge. I am a professor of public health law and ethics at the Sandra Day O’Connor School of Law at Arizona State University. We also direct our Western Region office of The Network for Public Health Law. My colleagues and I at The Network for Public Health Law have been working extensively, in real time, with a host of partners on today’s topic for our particular podcast. We’ve been working extensively in relation to the emergence of Zika virus internationally and soon domestically in the United States on these critical issues of law, policy and practice in relation to preparedness issues as they arise. Today I am joined today by three great colleagues, each representing differing perspectives on law and policy and preparedness issues related to Zika virus, internationally and largely domestically, as well. I’m joined today first by Jim Blumenstock who is Chief Program Officer, of Health Security, at the Association of State and Territorial Health Officials (or what many of us know as ASTHO). Bob Eadie is an Administrator with the Monroe County Health Department in Florida. If you know Monroe County Florida, you know Key West is the county seat and front in line in regards to potential early inception of some of the mosquitos responsible for Zika virus spread in the United States. Gene Matthews is also joining us today, one of my great colleagues in our Network for Public Health Law, also on the faculty at the University of North Carolina Gillings School of Global Health and Director of our Southeastern Region of the Network for Public Health Law, an initiative as well funded by the Robert Wood Johnson Foundation in part. So without further ado, let’s jump into the subject matter of what we can discuss here today in regards to these critical, emerging issues involving Zika Virus and its global spread soon arriving to the United States as well. Let me turn over the program first for state-based perspectives from our colleague, Jim Blumenstock. Jim Blumenstock : Great, James, thanks so much and good day everybody. It’s really my pleasure to spend a few moments with you all today and share with you exactly what the nation’s state and territorial public health agencies are doing in preparation and in some regards response to the Zika outbreak that we are experiencing. The best way to categorize it, I would think, is identifying it in five very specific buckets that public health is currently focused on. And these types of incidents certainly are not foreign to public health. Our public health system ramps up and responds appropriately to a multitude of threats, whether they be biological, chemical, or caused by natural disasters and this is no different. So the five buckets, the first one clearly to me is they are organizing and mobilizing. Currently, this is something public health is accustomed to doing. They are organizing internally on whether or not they need to stand up an Incident Command System (ICS) or if they’re comfortable in handling the current needs of their community through traditional program services. Some states are standing up Incident Command Systems and Emergency Operation Centers (EOCs). Others are using the 2-1-1 phone system to increase communications platforms with their public. They are aligning their partners, traditional and non-traditional, and of course when you look at a disease like Zika, there are some unique aspects to this threat that we don’t see normally with other biologicals, which I’ll talk about in a few moments. So the second bucket is information sharing, as you can imagine there is a tremendous amount of technical information being generated by the CDC, and other federal agencies that are extremely critical to not only public health, but also to the medical community. So health agencies are using their existing platforms, whether it be the Health Alert Network (HAN), or other outlets, to make sure that their practitioner, the clinician, as well as members of the public, get the information they need when they need it and also in the format that is most informative and useful. The third category, or bucket, is laboratory testing. Clearly with someone who is symptomatic, or at risk that needs to be properly diagnosed with disease, currently our laboratories, or at least before Zika hit, did not have the capacity to rapidly and accurately detect for Zika. So the nation’s laboratories in public health systems are ramping up and putting the methods in place so that they could really detect individuals who are symptomatic and need rapid diagnosis, or those who may have been exposed and sick and then later on in the cycle of their illness may require a different type of testing, which is much more elaborate and sophisticated. So the laboratory systems are working with the CDC, the Food and Drug Administration (FDA) and other federal officials to get sufficient analytical capabilities in place to ensure that when the need is there that the laboratories can provide that service. The fourth category is epidemiology, human disease surveillance. This is extremely important, certainly as we track cases that may be associated with travelers coming in from affected countries. Should we have a case where there is actually locally acquired disease in the continental United States, we’re not there yet, but it’s quite possible that will be a reality in the not too distant future. So to have the disease surveillance programs in place, to rapidly diagnose when a human case is found, so proper public health interventions can be applied. And the last category is a fairly new, or a unique feature associated with a disease like Zika, we certainly did not do this during influenza or with Ebola, and that’s vector surveillance and control. Traditional public health services, out in the community, directly to identify areas out in the community where mosquitos breed, eliminate the breeding areas, educate the public about how to protect their homes, themselves with protective clothing and repellant, basic public health sanitation to really reduce the exposure of people to the vector that carries the Zika virus. Significant importance is probably the number one protective measure, that we have in our arsenal of strategies and weapons of stopping it at its source is obviously the mosquito that would carry the Zika virus and bite humans. So those, James are the sort of high-level overview of what the nation’s health system are currently focusing on. They are in the process of allocating sufficient resources necessary to address the threat. CDC has authorized all of the grantees to use what emergency funding came through from Ebola, to repurpose it and reprogram it toward Zika, which I think is a very responsible and timely decision that gives health departments the resources they need to ramp up for this threat. But that’s short-lived and that’s short-term, so clearly we are all now working with the administration and Congress to identify additional resources and additional funding, recognizing that this could be a quite lengthy and potentially serious public health threat especially with the birth outcomes concerns with microcephaly and how that would impact not only the unborn child, but also if a child is born with that birth defect what the medical and social needs are of that child and that family, and the responsibility of the public health community to care for that family unit for as long as necessary. So that’s the response in the short term but also has a very significant long-term feature to it as well. James Hodge: Jim, excellent points, I love that analogy in regards to how a contagious condition like Zika Virus can become the chronic condition later for so many people. New evidence still coming in sort of on the epidemiology of this, suggesting that microcephaly, the link is looking strong, but what also might be out there as well is significant additional mental disability among persons infected in this particular realm to this particular virus. Yet to be sure in regards to the epi. I loved your analogy as well in regards to the buckets, buckets of water particular may be breeding grounds for these mosquitos (laughter). What are you hearing from your state and territorial health officers about the challenges of mosquito abatement for this type of mosquito that breeds very differently perhaps than others we might see? Jim Blumenstock: Sure, I know our colleague on our panel is much more an expert in this than I am, but it does present a unique challenge as the mosquito that carries the Zika virus, the aedis aegypti, is not the same type of mosquito, if you will, associated with West Nile virus. The Aedes is a day biter, not the night biter. It like fresh water, not stagnant water and it’s very competent in carrying the disease and it is aggressive, it will bite you multiple times or individuals multiple times and it also like to be in the home. So, your strategies for where the Ae. aegypti mosquito is located, and that principally in the Gulf and southeast coastal states, you’ve got to sort of customize your response to address the unique features of the vector, which are different than West Nile virus, so if you have a jurisdiction especially that especially have both threats, you’ve got to have parallel programs that have different strategies and tactics. And I would say probably vector surveillance and mosquito control is probably the number one action that most of the jurisdictions are currently focusing on, recognizing how demanding it is, how resource intensive it is, and also for parts of the country we are approaching mosquito season, which is of significant concern too. So all of that is really sending the message that time is of the essence, it’s appropriate to plan now, plan hard, and have everything in place as time goes on. James Hodge: Nicely stated, Jim. We’ve got a lot to learn as well on the issues related to front line response efforts and one of the top people that we’ve spoken with and that we’ll hear from today on our call is Bob Eadie, representing local-based perspectives, from his unique position in Monroe County, Florida, perhaps one of the first counties that may see this type of mosquito arriving on its specific shores soon. Bob Eadie: Good day, how are all of y’all. We had 29 cases of Zika virus in Florida, they are all travel-related, there are no ones that have been locally acquired. And from the local perspective it is something that being prepared and taking action now, I can’t emphasize enough in the sense that in 2009 we had an outbreak of dengue fever, and that happened despite of control in Monroe County which is all of the Keys, which has more people employed than the Health Department does. Fortunately we were able to keep that outbreak confined to Key West, but it pointed out the need of really collaborating with your mosquito control, which in Florida, you have districts, opposed to health department itself controlling all that, so there were a lot of resources here that we knew what to do, we just had to concentrate it, and still you still had the outbreak. So I think the thing to remember is as the theory and the planning goes on, you really need to get down to the thought of what are we really going to do if indeed you start having an outbreak? Then all of the theory and all of the things that have been discussed now have to come together in a real situation because you’re face-to-face with your community and with the people that may be infected. So if controls need to be done, then you need to make sure that your legal system knows what you’re doing, and why you are going to do it (if you have to take extraordinary measures) and with this mosquito you might, because it’s the house mosquito, it’s incredibly labor intensive to try to control. So if you have 20 blocks and you control the mosquito in 19 blocks, you’re still not going to be very effective if that 20th block is a major breading ground. So it may be that you’ll need to have some extraordinary methods as to how you’re going to deal with that one lot, so you may have to decide what the property rights issues are. You will very closely delineate whether you’re with mosquito control or whether you’re with the health department, or whether they’re combined, and who does what when? Because these mosquitos can breed in a bottle cap full of water. We find lots of mosquitos in this part of the world in air plants, they’re incredible breeding places. So how are you going to deal with those issues? Who is going to deal with these issues? Know that on the front end, and you’ve got to involve the whole community because we have a very strong educational campaign, both with the medical community and with the public, but we were honest after a period of time when we really admitted between the mosquito control district and the public health department, and we had help from the CDC and the state office of epidemiology, that really we had done everything that we could do with the resources. Our education was that we had done all we could do as a government, now as a community you individually have to take responsibility to try and eliminate breeding cycles. The planning is not so much the theory, as it is if you have this case what are you going to do, who is going to do it, and make sure like in our planning that you make sure that agency is (1) on board and (2) that’s actually what they do, otherwise you’ll have a hole in your plan, and it’s not unlike any other emergency when it first emerges that whoever is on the local scene is on their own for whatever period of time it will be and yet there are also people being infected by the disease and also you have the public and media scrutiny. It’s now time to plan. I mean Zika is probably not the last one of these emergencies we may face. The fact that this is a vector that is very efficient with moving viruses around the world and into the community and needs to be given a lot of thought from what are we going to do to control it, because the first line is controlling the breeding, the next thing that is probably most effective is to make sure people have screens and windows are secure, doors are shut and eliminate the exposure of humans to the mosquitos, because this mosquito for thousands and thousands of years has been evolving to be around man, so it’s tough to get to them. James Hodge: Bob, excellent points. Governor Rick Scott was the first governor in the United States to declare any sort of state of emergency in regards to Zika virus on February 3. What are the practical consequences of that to your county? How does that emergency declaration help? Bob Eadie: For us, we’re in a unique position of already been down this road. A lot of the planning and measures that people are trying to put in place, these emergency measures, they are our procedures on a daily basis. But that emergency declaration did several things. It focuses the resources of the state on the problem, it gave publicity on the problem and it also gave a coordinated effort to try and catch other areas that have not been prepared or may not have had the resources, it helps to give them the resources to catch up with other areas in the state. It also has heightened our surveillance really well. So it’s sort of like a real-time exercise right now, fortunately, but the area where the Zika is so prevalent, I mean we have such a huge exchange in Florida between our residents here and our residents there, so it’s not unusual that we would have so many people here because you have them coming and going all the time. James Hodge: No doubt, and Bob, thank you so much. For purposes of publicity, which can be its own double-edged sword as we all have learned and seen in prior emergency events, in Ebola and other particular events nationally and internationally. With more on this perspective, let me offer and turn the program over now to our great colleague Gene Matthews. Talk a little with us, Gene, about the intersection of public health and the media. Gene Matthews: Thank you. A couple of points, one, we always have to keep in mind from a policy point of view that there are really two different epidemics with two different epi curves taking place right now. One is the vector-borne, infectious disease with certain physical properties with the Zika epidemic, then the other that we have to anticipate is the rise in the epi curve of the media frenzy and the media concerned and that leads also into political concern and engagement or non-engagement with elected officials. The most recent model I think in everyone’s recent memory is the fall of 2014 with the Ebola virus and the scurrying around that took place in the United States in October, early November, that coincided with the midterm congressional election taking place and gubernatorial elections, and so we had a slow, slow run-up all through the spring and summer of there being Ebola taking place in West Africa and not a lot of media or political attention to it, but all of a sudden in October of 2014 it became the front page, lead article for many, many days. That was triggered by a U.S. physician who was infected with Ebola and was transported to Emory hospital in Atlanta and all of a sudden the country went crazy. And it wasn’t pretty because it was right in the middle of an election cycle, and you had elected officials jumping into the discussion, some armed with facts and some not. And it wasn’t the high watermark of clear public health communications to the American public. So with that sort of backdrop, where are we now on the Zika virus epidemic of media watchfulness and intensity, and clearly we are still on the low part of the curve. So far we have seen responsible messaging from the media, and from the political sector as well, but as we know and as we learned in 2014 all that can change with the drop of a hat or a new event occurs. When will this epi curve take off in dealing with the public health and the media? It could be when the first transmission occurs in the United States, and so Bob Eadie is probably sitting at ground zero on that, but he would just as assume it be New Orleans or some other place that gets blessed with the first media obsession over a U.S. transmission of Zika. It’s inevitably going to happen, I think, most experts agree. Or it could take off when you have the first birth defect in the U.S. associated with a U.S. transmission. I was sitting here on the call counting up on my calendar and we’re sitting here at the end of February, nine months from now will take us to Thanksgiving so that would be a blessing to be past the presidential election, as far as the need for elected officials running for office to want to jump in on that scenario. The point being, it’s really hard to predict. You cannot tell when these things suddenly catch fire on social media and then into the political environment. We are in public health emphasizing prevention, and so the prevention is a good, sound media strategy. This is public health messaging 101. Designate the spokesperson, designate how the message will be handled, be timely, but do not stampede and base what you say on the facts as you know it. And as Bob Eadie talked about a minute ago, when you know you’ve done all you can do, you say you’ve done all you can do. And be honest with the American public. I underscored Jim’s point about planning now, plan hard. That applies now not only to vector eradication, but also applies for dealing with media scrutiny on this. The last thing I would say, that you can probably anticipate, when you have the first case or cases, then you can anticipate urgent media demands for the identifiers of those first cases that are inevitably going to be in small cell data of those situations. So you get into an age old public health problem of wanting to tell as much information about the specific case that everyone is obsessing over with baited breath, but you have to do so in a way to protect the legal privacy of the patient and their family. That can get dicey, it’s interesting that Bob reported that Florida already has 29 cases, that’s good in my opinion to help dilute the number of cases in the cell, so you’re not ending up indirectly identifying someone, but this is just a common problem that public health has dealt with for generations and I just remind you that that issue will occur here when the first domestic cases in the U.S. emerge, then you have to think carefully about how you will announce them. Is it a case of domestic transmission and how are you going to do that to the integrity of the public and the public health officials. And also maintain the privacy of the family and individual patients involved. James Hodge: Gene, give me a little bit of guidance, for the benefit of all our listeners, how you pivot on your message. When the epi as Jim Blumenstock notes earlier is changing, we’re learning as we go. How do you pivot? What are the successful opportunities to do that? Gene Matthews: It’s basic media 101 training as far as pivoting, you have to know that this is something that will change and will remain fluid. We saw this with the memorable recent epidemics going back to SARS, to H1N1, it’s going to change, so part of your preparation for pivoting is again what Jim Blumenstock just said, is plan now, plan hard (that applies to your messaging), let the public know this is what we know now, that this can change. This is an evolving, emerging infection and we’ll give you what we know when we know it. And clearly, you can pivot back to what you can do, I think that’s the most important tried and true method. To say for you, what you can do in Monroe County, or New Orleans, or St. Bernard Parrish, or wherever you happen to be, is abate the standing water around your house, and be sure you have screens, and be sure you take all the steps to avoid mosquito bites. And everyone has to do their part on it. James Hodge. Nicely stated, Gene. Jim, let me take one question back to you because obviously one of the things that you really stated very nicely is that you need to work hard toward the key objective. Gene and Bob have both noted at this point in time, eliminating to the full degree possible the particular species of mosquito is point-blank what we need to do presently. Jim, I’m curious as to whether colleagues within ASTHO and folks you’re hearing from nationally are pivoting or at least working hard on the other question related to 9 months to now, or 12 months to now, or five years from now, as the potential is for Zika virus to lead to additional births of children with particular mental disabilities or otherwise again the epi of this condition is yet to be fully proven. Is there any action right now on what we need to be planning from a mental health perspective for populations in the Southeast or others who may be directly impacted? Jim Blumenstock: James, that’s a great question, and absolutely. It’s not only just long-term, it’s also immediate. When you talk about the issue of messaging, counseling and behavioral health, you only could imagine, there are four men on this call, but the stress and the concern of an expectant woman who may feel she was exposed to a mosquito bite and is concerned about her unborn child, so while the public health system and the clinical system is ramping up to provide the proper medical services if you will, there is still a significant amount of information sharing, counseling and how to give the level of assurance and comfort recognizing that there are still some unknowns and uncertainties with the disease etiology. So public health is focused on that right now, as well as the long term. The maternal and child health sector of state and local public health departments are clearly gearing up working with the medical community, the OB/GYN and maternal and fetal health sectors of medicine to ensure that the most effective counseling is available. Whether it be one case or a surge of cases in the long-term, that gets back to the uniqueness of this threat. Ebola brought a whole different set of challenges, not only to the public health system, but also to society. Well, so does Zika. And here we have a vulnerable and at risk segment of our community, mothers and children, and of course we talked about other medical consequences such as Guillain-Barré syndrome, which goes beyond the issue of pregnant women as well. This is clearly just one of those channels where public health and the medical community are really focusing on what is the best science, what is the best evidence, what are the knowledge gaps that we have to do rapid research on, so that we have better answers for individuals going forward as they may be fearful of being exposed or heaven forbid, become a case, where they have to be effectively managed going forward. Equally as important, if not more important, to public health and medicine. James Hodge: Yes, Jim, thank you so much. These issues are playing out as we know internationally right now, in other locales in South America and they may be coming to the shores of the United States soon with the introduction of this species of mosquito and global travel patterns as we all know as well. Major challenges now, major challenges potentially for the future, with different public health professionals and legal preparedness issues implicated along the way. Gene Matthews: You’re touching on the international. Just one other date to circle on your calendar for increased public interest and public scrutiny on this would probably be late July, the Olympics will start in Brazil August 5th and we’ve already had Olympic athletes expressing some opinions on this, so that’s another potential date that will have more interest on it coming from the international community context, but it could become a dominant story here in the U.S. particularly in a slow news month which August tends to be. James Hodge: Excellent point. With that said, let me do bring to a close our program and thank you again to our listeners sitting in special thanks to each of our speakers. And thank you again for listening to Public Health Behind the Scenes, a podcast presented by the Gillings Global GatewayTM and the North Carolina Institute of Public Health at the Gillings School of Global Public Health. Naya: This episode was produced by Naya Villarreal, Jessica Southwell, Natalie Smith, Jennie Saia and Branson Moore. Jessica: Thank you so much to our speakers for making this episode possible. If you like what you hear, tell a friend and subscribe to us on iTunes. Thanks.